This is coming as the party has threatened to deal decisively with the Governor of Imo State, Rochas Okorocha, if he fails to stop his â€˜libelousâ€™ attacks on the party leadership. THISDAY gathered from sources at Katsina State Governorâ€™s Lodge, venue of the screening exercise that though the committee worked late last Tuesday in order to conclude its assignment, both the chairman and other members had to meet wednesday to fine-tune their report. 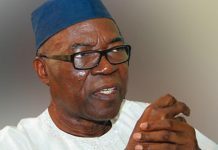 Although the source gave no details on whether all the aspirants scaled through the committeeâ€™s screening or not, it confirmed that the panel had scheduled to meet APCâ€™s National Chairman, Chief John Odigie Oyegun, thursday to submit its report. Masari had earlier on Monday told journalists that a total of 179 aspirants will be screened by the panel. Meanwhile, the party has threatened to deal decisively with the Governor of Imo State, Rochas Okorocha, if he fails to stop his â€˜libelousâ€™ attacks on the party leadership. The party also faulted an advertorial recently placed by the governor implying that the party was duly served with court order to stop the congress in Imo State, describing it as false and misleading. In statement issued wednesday by its National Publicity Secretary, Mallam Bolaji Abdulahi, the party accused Okorocha of continuously making libelous attacks on the party and its leaders. It said there was an attempt to deceive members of the public on the true state of things regarding the congress in Imo State by forging a memo purportedly signed by the partyâ€™s National Legal Adviser, Mr. Muiz Banire, adding that the party had launched an investigation into the matter. Okorocha had objected to the manner in which APC congresses in his state were carried. In protest, he met with President Muhammadu Buhari and later Vice President Yemi Osibanjo, demanding the cancelation of the entire exercise. Trouble in the state chapter of APC started when stakeholders of the party in state disagreed with the governor over his desire to award the governorship ticket for the 2019 election to his son in-law. As a result, those opposed to the governorâ€™s agenda teamed up and formed a group known as the â€˜Imo Restoration Movementâ€™. 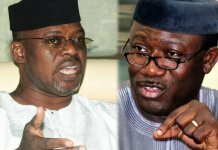 During the congress in the state and the ensuing struggle for supremacy between the two sides, the governor was said to have been outsmarted by the group loyal to Senator Ifeanyi Araraume and National Organising Secretary, Osita Izunaso. 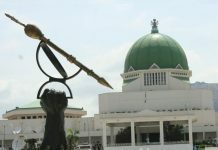 One of the grounds of the governor in his protest was that the materials for the congress were hijacked by an opposing group who allegedly connived with the congress committee to organise elections that excluded his own supporters. Okorocha accused the National Working Committee (NWC) of the APC led by Chief John Odigie Oyegun of instigating crisis in Imo State to get back at him over his opposition to tenure elongation for the NWC. However, the party had dismissed his allegation, blaming his loss at congress to loss of confidence in him by party stakeholders. In a statement issued wednesday, the party said in recent weeks, Okorocha had been making libelous attacks on the party and its leaders. The statement read: â€œHardly a day passes by without Okorocha verbally assaulting our National Chairman, Chief John Odigie-Oyegun, and other party leaders over the recently concluded congresses in Imo State. According to APC, the import of the allegations was that the party was aware of a court order preventing it from conducting the Imo State congress following receipt of a copy of the so-called court injunction which directed it to maintain status quo.